Visits and walks : how does it work ? WHAT IS INVOLVED IN VISITS AND WALKS? What is involved in visits and walks? Suited to more independent animals, visits and walks allow you to arrange for a pet sitter to come to your home to look after your pet, allowing him to remain in familiar surroundings, minimising any disturbance. Even if we group them together, visits and walks are two different services: whether you require just one or both will depend on teh needs of your pet. Nevertheless, the way each works and the cost will be based on the same principles, whichever service you require and regardless of the species of your pet. Unlike our canine friends, these animals are more autonomous and don’t necessarily have the same needs. Walks are of course intended more specifically for dogs. And moreover as dogs don’t use litter trays it’s vital that they go out to do their business. 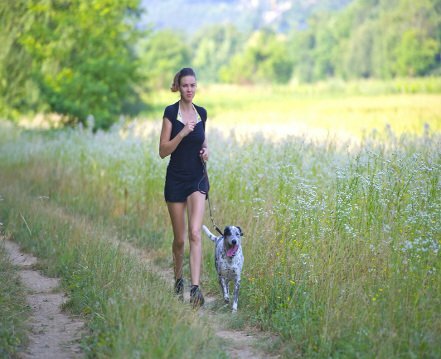 Moreover some dogs may need to go out several times a day to stretch their legs and get their required exercise. So you may opt for either visits or walks, depending on the type of animal that needs looking after , as the needs of our pets vary according to the situation. Which pets suit visits and walks ? Even if visits and walks are two separate services, they are both nonetheless best suited to a similar profile of pet. Generally, this option is most sought after for pets which are independent and cope well with their owner’s absence. If, in addition, your pet struggles with a change of surroundings, then visits and walks could be the ideal sitting solution. Moreover, some owners think about asking someone to stay in their home while they’re away. However, it’s not always easy to find a sitter who’s willing to stay overnight for the duration of the sitting. By organising visits and walks, you’ll benefit from a sitter coming to your home, who won’t be required to stay overnight. It may then be much easier to find someone willing to look after your pet.